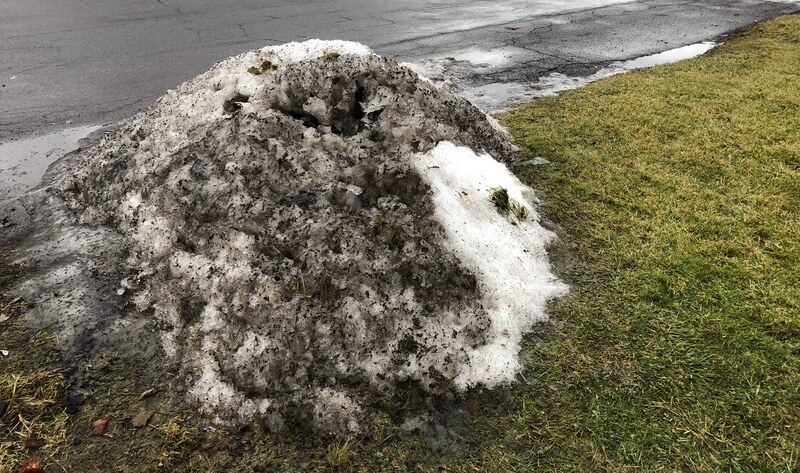 During the last melt, the stubborn plower’s pile at the end of our driveway at A Bitty Better in the Liverpool neighborhood of Galeville was, well, not exactly attractive. What was the plow guy going through when he was pushing this stuff off our driveway, I wonder? ← The coming of the green? Yes, it’s gone completely now, Beth, to be replaced very soon say the weather folks. 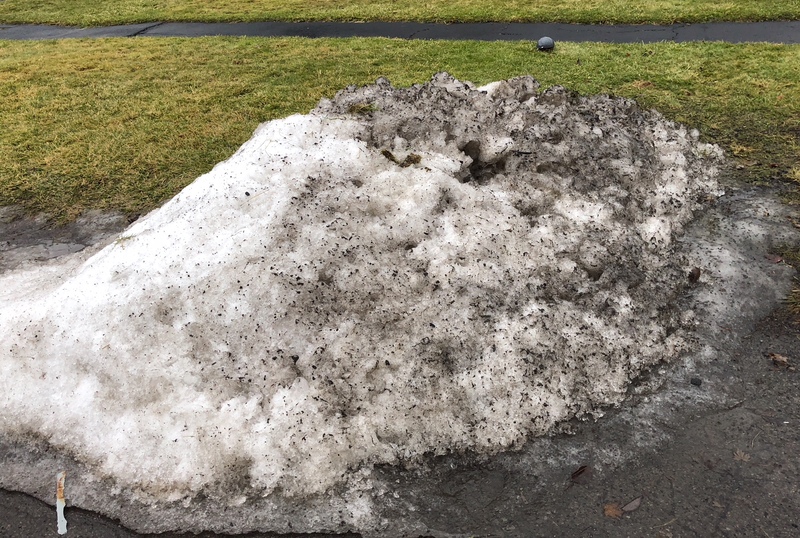 This is the ugly part of snow…. It attracts all sorts of yuck, for sure, MBC. This is the “snow” we all hate! You got that right, Nance.